Schizophrenia is the main issue in Psychiatry as far as clinical, psychopathological, rehabilitative and therapeutical aspects are concerned. If we consider that the incidence of such a disorder is from 0.5% to 1% of the population, without substantial differences in the various areas of the world, we can easily understand how this pathology afflicts millions of people. 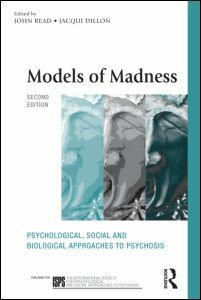 When we think how the whole family is involved in the illness, and consequently we consider the enormous costs which it provokes, it is easy to understand how the therapy of schizophrenia is the most important challenge for the present-day Psychiatry. Facing such a complex reality, we must admit our lack of knowledge concerning the dynamics of this disorder and also a gap of a satisfactory therapeutical approach. A legend to be put aside is that the introduction of neuroleptic drugs substantially modified the prognosis of schizophrenia. Recovery rates have not significantly improved after the introduction of neuroleptic drugs. The decrease of hospitalization during this century, was already noticeable before the introduction of neuroleptic drugs. Such data can be found also in some evaluations made by contemporary researchers such as Watt and others and Wing. They believe that the introduction of the neuroleptic has not modified the long term course of schizophrenia. Two studies done by the World Health Organization, entitled "International Pilot Study of Schizophrenia " and "Determinants of Outcome of Severe Mental Disorders" (W.H.O., 1979; Jablensky et Al., 1992) have proven to be paradoxical. The prognosis of schizophrenia is nowadays more favourable in developing countries, rather than in industrialized ones. We may explain these unexpected results in the sense that the organization of structured (and expensive) relief organizations, and also pharmacological treatment are not related to the prognosis of schizophrenia. Low stressing, low competitive, social environment and the possibility, for the patient, in maintaing a positive social role, appears the most important variable for the course of schizophrenia. Expressed Emotions studies have clearly shown the family role for the outcome of schizophrenia. Therapeutical approach to schizophrenia is open to ulterior evolution. In fact, the pharmacological treatment can only modify the clinical phenomenology of the disorder, but not its course. Neither systemic, nor cognitive and behavioral approach, are capable, today, of giving controlled data on their efficacy. The general indeterminateness of the therapeutical approach is to be attributed to the lack of a satisfactory evidence on the etiopathogenesis of such a severe disorder. During the past ten years, we developed some research concerning psychopathology, therapy and rehabilitation for schizophrenia. This aspect, supported by experimental data, results in a problem concerning the dopaminergic brain systems and could outline a gap in human information processing; This may be documented by some psychophysiological parameters such as evoked brain potentials and eyes movement. We also have evidence of an altered autonomic reactivity, to sensorial stimuli, registered by monitoring of the electrodermal activity. Individual, biological vulnerability could be genetically determined or due to pre-natal factors and could even show temperamental, schyzotypical characteristics even when schizophrenia, is not present. Basing on the above described biological gap, a negative social environment and a negative parenting, could lead to the development of a series of emotional, cognitive and behavioral attitudes related to communication; These issues, which may be summarized in a chronic hyperarousal, in some alteration of human information processing, mainly concerns social competencies. A positive family environment and a favourable psychosocial situation could be a protection factor. 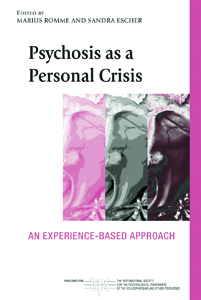 A psychotic crisis may occur because of precipitating factors that may be of a biological type, for example the use of drugs, especially hallucinogens, or of psychosocial type, like starting a job, intensifying a study programme (the last years of high school or beginning University) or also sentimental disappointment. The course of schizophrenia, which has an intrinsic variability, can be significatively influenced by psychosocial factors. The most important one is the family emotional environment and therapeutical approach. Some controlled studies have shown that, a positive family environment, without any attitude of control or emotional hyperinvolvement, is a fundamental variable in the course. Another important variable is an efficient therapeutical collaboration, defined by Kayton, Beck and Koh as a positive emotional involvement between the patient and the therapist within a relation of help. Also social factors, such as positive friendships, a valid support at work and in the social context, play an important role. With these different aspects, in mind, in these past years, we developed an integrated approach to therapy of schizophrenia, caracterized by a complex and cognitive inspiration. One of the most critical aspects, concerning biological vulnerability of the schizophrenic patient, is the disfunction in tacit and explicit knowledge activities. Tacit knowledge is hyperfunctioning. This means that the vulnerable subject, since childhood, (and particulary at the onset of the illness), has great difficulty to utilize correctly, for the development of Self, the categories of abstract thought compared to the healthy subjects. For the schizophrenic patients, the competence of reflecting critically on Self and on their own experiences, is greatly reduced. Equally reduced is the capability of contructing theories for progressive maturation (or self awareness) and for a better adjustment to life difficulties. This means, that for a schizophrenic subject it is almost impossible to make comparisons in different situations. They cannot understand why a particular situation (within the family, at work or with social relationships) is so difficult and painful. They cannot give a significance, through critical consideration, to something they liked or disliked, such as watching a movie or reading a book. The ability of knowing through the emotions is higly noticable. Therefore, schizophrenic patients feel fear and enthusiasm, love and hate more profondly than healthy subjects, but they face great difficulties when giving meaning to such emotions. These inputs, far from improving the knowledge of himself/herself and the others productivly, make them feel lost in a labyrinth. A disability can be found regarding the dialogue with Self and concerning communication, which is fruitless and disfunctional and overlaps the difficulties the subject feels towards self. In the case that emotional enviromennt is one of a highly Expressed Emotions, the family, far from supporting and strengthening the patient, act as a amplifier of problems. The family with high Expressed Emotion tipically dramatize and enhance any emotional disorder; This will stress the patient, and a closed loop is enstablished A similar, negative effect is verified on the patients ability to reflect, in a critical way, about themself and their experiences. This kind of family is unable to use positively cognitive competences, also in Problem Solving or Coping strategies. From a psychoherapeutic and rehabilitative viewpoint, separable one from the other only in theorethical terms, what the above said is extremely important. The rationale of intervention must not be a simply tactical one of recovery of specific competences, but also strategical one. Through the tactical construction at various stages of the treatment, should stimulate a progressive adjustment to self reflection, the current situation, coping and problem solving and communicating in a constructive way. It also necessary to work with the family in a similar way. This in order to replace its role of stress carrier with a new role of adequate support. We can arrive at this through the a cognitive rehabilitative psychotherapy. Besides using the cognitive techniques to train the patient to be capable of self-criticism, coping and solving problem, the psychotherapist must act, more than in any other disorder, as a Secur-Base. It will take time before the schizophrenic patient acquires competences in communication and the ability to discuss. The maintaning of the therapeutical relationship will be determined by trust in the therapist, as well as the sicurity and protection felt by the patient through therapy. He or she must experience the therapeutical relationship as a secure base. We must stress the important role of the competences concerning communication: Establishing a correct expression of positive or negative feelings, and improve the capabilitis of asking something constructively, or listening in an active participating way is very important. As already said, the psychotherapeutical and rehabilitative treatment are part of the same therapeutical project. We need to work with the patient, and the family separetly. Because of the seriousness of the problem, associated to the disability, this therapy must be multi-contextual, since it is carried out in the psychotherapy surgery, the patient's house and in various social situation. The rehabilitation therapist works mainly at the patient's house. The rehabilitation work is also done the in all those situations that the equipe believe important for therapy. The shared experience will allow the patient to face all situations so far avoided, and it will strengthen the feeling of trust and protection they feel toward the therapist. The latter will act as mediator between the patient and the environment, allowing the patient to overcome the narrow behavioral limits determined by the illness. From this role of privileged observer, the rehabilitation therapist will be able to evaluate emotional resonance caused by new experiences, and will contribute in training the patient to use cognitive abilities. Therefore will become independent and well balanced. The role of the rehabilitation therapist will then be maintaining the therapeutical relationship in a mobile setting that may solve the specific difficulties of schizophrenia. An educational intervention involving population is necessary to favour the knowledge of schzophrenia. This will make the schizophrenic patient's acceptance in society easier. In this occasion we are only able, for time reasons, to illustrate schematically these various aspects with the help of slides and transparencies. A comfortable room with low sensorial stimulation (pastel colours, lack of noise, lack of any apparatus or furniture that may create a feeling of fear). In this unit the medical and qualified nursing staff should establish a warm relationship with the patient. low. At this stage it is necessary to limit the presence of family members who could trigger anxiety. After overcoming the crisis, the patient may be admitted to the ward where has more than one bed ( three beds, in our Department). At this stage patient and family assessment is done and a therapeutical alliance will be established. Late latencies evoked brain potentials (P.300). Evaluation of the patient's status through the "Brief Psychiatric Rating Scale". Expressed Emotions, through the Five Minute Speech Sample. Psychophysiological evaluation of the patient's emotional response in the presence of the family. Evaluation of the family functioning through the Family Assessment Measure a Canadian instrument which wetranslated and validated for use with the italian population. Psychopathological evaluation of each family member through the Middlesex Hospital Questionnaire. Of the situation at home (visit at home). Of the district social resources. Cognitive restructuring. The patient must be trained to change from an absolutist attitude: "I am crazy" to a different point of view "I have some problems." Developing a more viable theory of what is happening, whith the patient This theory refers to a specific pathology rather than to mysterious and often transcendental experiences. Concerning deliriums, we should train the patient to develop a relativist using a three columns diary for homework. It mainly refers to acoustic hallucinations and is founded on the observation that hallucinations start when the patient expects them. This usually occurs when the patient undergoes emotional stressor when a non optimal sensorial stimulation occurs. In fact, both excesses of information (confusion, noises, colourful and strong lights) and the lack of sensorial data. For example, this could happen during the night when there is silence and there is only a night light. The treatment rationale is based upon the following issues. The patient must understand the relationship between arousal and the presence of disperceptive phenomena. This is done throughsystemic monitoring using appropriate home wok. We did some preliminary research about biofeedback with psychotic patients. It is important to underline that, in schizophrenic patients, biofeedback is to be used with particular care. In fact, for the schizophrenic patient, working with an electronic device, may be stressful and provoke an increase in the delusional attitude concerning external influences. In 1983, Alan Breier and John Strauss published a very interesting article about "Self Control in Psychotic Disorders." They developed the idea that some patients may be or become able to exert control over their own psychiatric symptoms. According to Breier and Strauss, in the schizophrenic patients a three-staged self-regulation process can be established. In the first stage a person becomes aware of the existence of psychotic or pre-psychotic behaviour by means of self-monitoring. In the second stage, called "self-evaluation", the person recognizes the implications of this behaviour as a sign of disorder. Once these symptoms or their precursors are detected, stage three occurs, in which the mechanisms of self-control are employed. Relaxing is considered an instrument to reduce anxiety and,consequently, some psychotic symptoms like hallucinations. This hypothesis implies a stress origin for the exacerbation of symptoms, which is compatible with the dyathesis-stress model of schizophrenic disorders. Breier and Strauss proposed, to reduce anxiety, the use of instruments such asself-training, decreased and increased involvement in the patients' activity. We tried to use the electrodermal biofeedback as an instrument to reduce anxiety in the schizophrenic patients with a non acute clinical situation. The control of arousal by means of biofeedback can be, according to our personal experience, an instrument to modify the patient's attitude towards hallucination, lack of behavioural control, aggressive behaviour and other psychotic symptoms. A particular typology of biofeedback that may be successfully used with the schizophrenic patients, still according to our experience, is the video-monitoring and thevideofeedback, particularly useful to improve verbal and non-verbal communication and improve the patient's ability of self-observation. Physical activity with videofeedback and videomonitoring. Such an important aspect is a crucial step towards recovery. It implies the acceptance of the psychotic experience as consequence of the development of the patient. Social Adjustment Scale, Self Assessment Guide, Social Behaviour Assessment Schedule, Disability Assessment Schedule etcetera We have developed and instrument to assess social and behavioural disability called A.M.D.P. It was especially designed for the Rehabilitation Therapist. Area 1) Patient's physical appearance. Area 2) Behaviour towards himself/herself and the others. Area 4) Instrumental and orienting abilities connected to environment. Area 5) Use of spare time. Area 7) Home and connected environmental features. Area 8) Social role of the patient before and after the illness. Area 9) Behaviour while in the hospital. Area 11) Behaviour the phase of assessment. An aspect to be underlined is the preparation of the setting for therapy. It can be said that many patients admitted in our Department are influenced by their attitude following which they expect only pharmacological treatment. In Italy the most popular requested form treatment is the intravenous drip. Concerning family, we should say that presence a psychotic subject produces a series of negative consequences. We found anotable presence of depression and anxiety. A preliminary stage of family assessment is very important. We use the Five Minutes Speech Sample to evaluate Expressed Emotions, and Family Assessment Measure. A home visit is also necessary for a more complete evaluation. If the family is with Low Expressed Emotion, and is characterized by satisfactory equilibrium, we can use a psychoeducational intervention. An intervention on the network must be carried out when the patient lives and works in an adverse environment. In this case, a psychoeducational approach carried out by the rehabilitation therapist may be resolutory. We would like to give an example of one of our patients who was continuously and severely criticized by her colleagues and by a superior, for her lack of efficiency at work. This caused crisis and some periods of hospitalization The rehabilitation therapist interveneed at work to change the colleagues and superiors' attitude towards the patient; They understood she was affected by a severe illness that, for italian law,could give a disability pension. But if she continued her job, even in a poor way, it was a positive situation for the patient and an economic advantage for the community. To conclude, we must say something about results and the cost. In the past ten years we have collected experimantal data concerning twenty patients, treated according to the above program. The parameter of clinical improvement we used is a comparison between relapses during the previous pharmacological treatment (baseline) and the period following our treatment. Clinical symptomatology, measured using the Psychiatric Symptoms Scale. Number of new admissions in the wards. The results were very encouraging. The treatment cost were cheap, if evaluated in the lights of cost-benefit. To conclude, we have to underline that, for the application of such a therapeuthical programme, we need to train Psychiatrists, Psychotherpaists, Social Workers and Rehabilitation Therapists in a homogeneous way in the light of a cognitive approach. American Psychiatric Association, 1987. Diagnostic and Statistic Manual of Mental Disorders. Washington, D.C.: A.P.A. Press. Andreasen N.C. (1987) Schizofrenia. Scale per la valutazione dei sintomi postivi e negativi. Edizione italiana a cura di Moscarelli M e Maffei C. Milano: Raffaello Cortina Editore. Andreasen N.C. (1990) Methods for assessing positive and negative symptoms. In: Andreasen N.C. (Ed.) Moder Problem of Pharmachopsychiatry: Positive and negative symptoms and sybdromes. Base: Karger. Andreasen N.C., Grove W.M. (1986). Evaluation of postive and negative symptoms in schizophrenia. Psychioatrye & Psychobiologie, 2, 108-121. Atkinson J., Coia D., 1995. Family coping with schizophrenia. Chichester: John Wiley & Sons Ltd.
Beck A.T., Freeman A. et Al. (1993). Cognitive Therapy of Persoanlity Disorder. New York, Guilford Press. Bedrosian R.C., Bozicas G.D. (1994) Treating Family of Origin Problems. A Cognitive Approach. New York: The Guilford Press. Beecham J., Knapp M. (1993) Analisi costo-efficacia e schizofrenia. Annali di Freniatria e Scienze Affini.Vol.II, N.2, 153-157. Bellack A.S., Mueser K.T., Morrison R.L., Tierney A., Podell K. (1990) Remediation of cognitive deficits in schizophrenia. American Journal of Psychiatry, 147, 1650-1655. Bellantuono C., Paltriniery E. (1992) Psicofarmacoterapia della schizofrenia al di fuori degli episodi acuti: in quali pazienti e per quanto tempo. In: Maj M., Vizioli R. (Eds) Problemi Pratici in Psicoframacoterapia. Bennet H.D., Morris I (1991) Support and Rehabilitation.In: Watts F.N., and Bennet H.D. (Eds) Teory and Practice of Psychiatric Rehabilitation. Chichester: John Wiley and Sons Ltd.
Bertrando P., Beltz J., Breni C. (1992) Expressed emotions and schizophrenia in Italy. A study of an urban population. British Journal of Psychiatry, 161, 223-229. Birchwood M. & Tarrier N.(Eds.),1992. Innovation in the Psychological Management of Schizophrenia. Assessment, Treatment and Services. Chichester: John Wiley & Sons. Birley J., Hudson B.L., (1991) The Family, the Social Network and Rehabilitation.In: Watts F.N., and Bennet H.D. (Eds) Teory and Practice of Psychiatric Rehabilitation. Chichester: John Wiley and Sons Ltd.
Bowlby J., 1969. Attachment and loss. New York: Basic Books. Bowlby J., 1977. The making and breking of affectional bonds. British Journal of Psychiatry, 130, 201-210. Bowlby J., 1988. A Secure Base. London: Routledge. Breier, A., & Strauss, J.S. (1983). Self-control in Psychotic Disorders. Archives of General Psychiatry, Vol. 40, October, 1141-1145. Brenner H.D., Bettina H., Roder V., Corrigan P. (1992) Treatment of Cognitive Dysfunction and Behavioural Deficits In Schizophrenia. Schizophrenia Bulletin, 18, 1, 21-26. Brown, G.W., Birley, J.L.T., & Wing, J.K. (1972). Influence of family life on the course of schizophrenic disorders: A replication. British Journal of Psychiatry, 121, 241-247. Burrel, M.J., 1987. Cognitive psychology, epistemology and psychotherapy: A motor-evolutionary perspective. psychotherapy, 24, 225-32. Callaway, E., & Naghdi, G. (1986). An human information processing model for schizophrenia. Archives of General Psychiatry, 39, 339-347. Chouinard G. (1993). Clinical review of risperidone. Canadian Journal of Psychiatry, 38 (Suppl.3), 1993. Ciompi L. (1980) Catamnestic long-term study on the course of life and aging of schizophrenics. Schizophrenia Bulletin, &, &06-618. Ciompi L., 1988. The Psyche and Schizophrenia. Cambridge, MA: Harvard University Press. Ciompi L. (1994) Logica affettiva. Milano: Feltrinelli. Corcoran, R., & Frith C.D. (1993) Neuropsychology and Neurophysiology in Schizophrenia. Current Opinion in Psychiatry, Vol. 6, N.1, 74-79. Corrigan P.W., Wallace C.J., Green M.F., Schade M.L.. Cognition and Social Functioning in Schizophrenia. In: C:M:E: Syllabus and Scientific Proceeding in Summary. 144th Annual Meeting of the American Psychiatric Association. Washington D.C.: A.P.A. Press. Crow T.J. (1994) Aetiology of schizophrenia. Current Opinion in Psychiatry, 7, 39-42. Cutting J,1985. The Psychology of Schizophrenia. New York: Churchill Livingstone. Dawson M.E., Nuecheterlein K.H., Schell A.M., Mintz J. (1992). Concurrent and predictive Electrodermal Correlates of Symtomatology in Recent Onset Schizophrenic Patients. Journal Abnormal psychology, 101, 153-164. Doane J.A., Diamond D.,1994. Affect and Attachment in the Family. New York: Basic Book. Dowrick, P.W. (Ed. ), (1991). Practical guide to using video in the behavioural science. New York: John Wiley & Sons. Eccles J.C., 1989. Evolution of the Brain: Creation of the Self. London and New York: Routledge. Ellring, H. (1991). The applicability of Video: Feedback and self-confrontation. In: Dowrick, P.W.(Ed. ), Practical guide to using video in the behavioral science. New York: John Wiley & Sons. Falloon, I.R.H., & Boyd, J. (1984). Family Care of Schizophrenia. New York: . Guilford. Ferrara, M., Germano G. & Archi, G. (1990) Manulae della riabilitazione psichiatrica. Roma: Il Pensiero Scientifico Editore. Fowler D., Garety P., Kuipers E., 1955. Cognitive therapy for Psychosis. Chichester: John Wiley & Sons Ltd.
Freeman A., 1986. Understanding personal, cultural, and family schema in psychotherapy. In A. Freeman & V. Greenwood (eds. ), Cognitive therapy: Application in psychiatric and medical settings. New York: Human Science Press. Freeman A., 1988.Cognitive therapy of personality disorders. In C. Perris & M. Eisemann (Eds.) Cognitive psychotherapy: An update. Umea: DOPUU Press. Freeman A., Dattilio F.M. (Eds. ), 1992. Comprensive Casebook of Cognitive Therapy. New York, Plenum Press. Friedman, D. (1991). Endogenous scalp-recorded brain potentials in schizophrenia: a methodological review. In: Nasrallah H.A. (Ed. ), Handbook of schizophrenia. Amsterdam: Elsevier Science Publisher B.V.
Frith, C.D. (1992). The cognitive neuropsychology of schizophrenia. Hove, East Sussex: Lawrence Erlbaum Associates Ltd., Publisher B.V.
Furlan P.M., Cristina E., Giammaria M., Ruo-Roch G., Picci R.L. (1993) L'assistenza ed il trattamento della patologia psicotica. Un contributo all'analisi dei costi. Annali di Freniatria e Scienze Affini. Vol.II, N.2, 169-179. Gerlach J., Casey D.E. (1994) Drug Treatment of schizophrenia: mith and realities. Current Opinion in Psychiatry, 7, 65-70. Goerner S. (1995) Chaos, Evolution and Deep Ecology. In: Robertson R. & Combs A.: Chaos Theory in Psychology and the Life Sciences. Hove: Lawrence Erlbaum associates, Publishers. Golden C.J. Hammeke T.A., Purish A.D. (1980). The Luria-Nebraska Battery Manual. Los Angeles, Western Psychological Services. Gottesman I.I. (1991). Schizophrenia Genesi: The Origins of Madness. New York: Freeman. Grimaldi, L., Frasca, G., & Scrimali, T. (1993). Un approccio sistemico-processuale alla riabilitazione: impiego del video-feedback e cambiamento in pazienti cronici. Complessità & Cambiamento, Vol.II, N.2, 92-96. Grimaldi, L., & Scrimali, T. (1992). A developmental approach to cognitive psychotherapy of schizophrenia. Communication presented at the World Congress of Cognitive Psychotherapy. Toronto. Grimaldi, L., & Scrimali, T. (1993). Un approccio cognitivo-evolutivo e complesso alla psicopatologia della schizofrenia. Complessità & Cambiamento, Vol.II, N.1, 20-23. Gruzelier, J.H. (1984). Hemispheric imbalance on schizophrenia. International Journal of Psychophysiology. Vol. 1, 227-240. Green M.F. (1993) Cognitive Reediation in Schizophrenia: Is it Time Yet?. America Journal of Psychiatry, 150, 178-187. Gruzelier, J.H. (1991). Hemispheric imbalance: Syndromes of schizophrenia, premorbid personality and neurodevelopmental influences. In: Nasrallah H.A. (Ed. ), Handbook of schizophrenia. Vol.5. Amsterdam: Elsevier Science Publisher B.V.
Gruzelier J.H., Hammond N.V., (1979). Gains, losses and lateral differences in the hearing of schizophrenic patients. British Journal of Psychology, 70,319-322. Gruzelier J., Raine A., 1994. Bilateral electrodermal activity and cerebral mechanisms in syndromes of schizophrenia and the schizotypal personality.International Journal of Psychology, 16, 1-16. Gruzelier, J. H., & Venables, P.H. (1975). Evidence of high and low levels of physiological arousal in schizophrenics. Psychophysiology, 123, 66-73. Guidano, V.F. (1987). Complexity of the self. New York: Guilford Press. Haley J. (1976) Problem-Solving Therapy. New strategies for effective family therapy.Edizione italiana:: La Terapia del Proble-solving. Nuove strategie per una terapia familiare efficace.Roma: La Nuova italia Scientifica. Hogarty G.E., Anderson C.M., Reiss D.J., (1986). Family psychoeducation, social skill training and maintenance chaomotherapy in the aftercare treatment of schizophrenia. One year effects of a controlled study on relapse and Expressed Emotions. Archives of General Psychiatry, 43, 633-642. Israel L., De Vreese L.P. (1990). Allenare la propria memoria. Grenoble: Prestoprint. Jablensky A. (1993) The epidemiology of schizophenia. Current opinion in Psychiatry, 6, 43-52. Jablensky A., Sartorius N., Ernberg G., Anker M., Korten A., Cooper J.E., Fay R., Bertelsen A. (1992) Schizophrenia: Manifestation, Incidence, and Course in Different Cultures. Psychological Medicine Mograph, Supplement 20. Cambridge: Cambridge University Press. Johnstone E.C., Crow J.J., Frith C.D., Carney M.P.W., Price J.S. (1978) Mechanism of the antipsichotic effect in the treatment of acute schizophrenia. Lancet i, 848-851. Jacobs L.I. (1982) Cognitive Therapy for Schizophrenia in remission. Current Psychiatric Therapies,93-101. Karon B.P. (1989) Medication for schizophrenia: empirical comparisons. In: Fisher S. and Greenberg R.P. (Eds) The Limits of Biological Treatments for Psychological Distress.Hillsdale: Lawrence Erlbaum Associates. Kingdon, D.G., & Turkington, D. (1994). Cognitive-Behavioural Therapy of Schizophrenia. Howe, East Sussex: Lawrence Erlbaum Associates Ltd., Publisher. Kendler K.S., Gruenberg A.M., 1982. Genetic Relationship Between Paranoid Personality Disorder and the "Schizophrenic Spectrum" Disorders. American Journal of Psychiatry, 139:9, 1185-1186. Hall J. (1991) Ward-based rehabilitation Programmes. In: Watts F.N., and Bennet H.D. (Eds) Teory and Practice of Psychiatric Rehabilitation. Chichester: John Wiley and Sons Ltd.
Heaton R.K., Pendleton M.G. (1981). Use of Neuropsychological Tests to Predict Adult Patients' Everyday Functioning. Journal od Consulting and Clinical Psychology, 49, 807-821. Inderbitzin, L.B. (1990) Tre treatment alliance. In: Levy, S.T. & Ninan, P.T. (Eds), Schizophrenia.Treatment of Acute Psychotic Episodes. Washington D.C.: American Psyatric Press, Inc.
Jessee S.S., & Anderseon G. (1996). Emergency Services. In: Levy, S.T. & Ninan, P.T. (1990) Schizophrenia.Treatment of Acute Psychotic Episodes. Washington D.C.: American Psychiatric Press, Inc.
Leff, J., & Vaughn, C. (1985). Expressed Emotion in Families. New York: Guilford. Levy, S.T. & Ninan, P.T. (1990) Schizophrenia.Treatment of Acute Psychotic Episodes. Washington D.C.: American Psyatric Press, Inc.
Lieberman J.A., Sobel S. (1993) Predictors of response and course of schizophrenia. Current Opinion in Psychiatry. 6, 63-69. Lydiard R.B., Laird L.K. (1988) Prediction of response to antipsychithics. Journal of Clinical Psychopharmacology, 8, 3-13. Liotti G., 1984. Cognitive therapy, attachment theory and psychiatric nosology: A clinical and theorethical inquiry into their interdependence. In Reda A.M. and Mahoney M.J. (Eds. ), Cognitive psychotherapies: Recent developments in theory, research and practice. Cambridge, Mass. : Ballinger. Lishman W.A., Toore B.K., Colbourn C.F., Mc Meekan E.R.L., Mance R.M., 1978. Dichotic listening in psychotic patients. British Journal of Psychiatry, 132, 333-336. Mackay A.V.P. (1982) Antischizophrenic drugs. In: Tyler P.J. (Ed.) London: Butterworths. Mackay A.V.P, Crow I.J. (1980). Positive and negative schizophrenic symptoms and the role of dopamine. British Journal of Psychiatry, 137, 379-386. Mahoney M. J., 1991. Human Change Processes.The ScientificFoundation of Psychotherapy. New York: Basic Books. Mahoney, M.J. (Ed. ), (1994). Cognitive and Constructive Psychotherapies. Recent Developments. New York: Springer Publishing Company. Maturana H.R. (1975) Organization of the living A theory of living organization. International Journal of Man-Machine Studies, 7, 313-332. Maturana H.R. & Varela F.J. (1985) Autiopiesis and Cognitin. The Realization of Living. Dortrecht: Reidel Publishing Company. McGue M., & Gottesman I.I., Rao D.C. (1985) Resoving genetic models for the transmission of schizophrenia. Genetic Epidemiology, 2, 99-110. Morice R., Delahunty A. (1993) Treatment strategies for the remediation of neurocognitive dysfunction in schizophrenia. In : Pantelin C., Nelson H.E., Barnes T. (Eds.) The Neuropsychology of Schizophrenia. Sussex, John Wiley & Sons, Ltd.
Morin E., (1990) Introduction a la pensée complexe. Paris: Seuil. Munizza C. (1995). Schizoprenia. La valutazione economica. Psicosi, Supplemento a Rivista di Psichiatria, 6-7. Munizza C., Tibaldi G., Zuccolin M. (1992) Riabilitazione psichiatrica:standardizzazione delle procedure per la valutazione delle attività e dei costi/benefici. Annali di Freniatria e Scienze affini, Vol.II, N.2, 1181-184. Nicolis, J.S. (1986) Dynamics of Hierachical System. Berlin: Springer. Nicolis G. (1989) Nonequilibrium Systems and Self-organization. In: Davies P., Will C. et Al. (Eds): The New Physics. Cambridge: Cambridge University Press. Neimeyer, G.J. & Lyddon, W.J. (1993). Constructivist Psychotherapy: Principles into Practice. Journal of Cognitive Psychotherapy, Vol.7, N.3, 155-157. Pancheri P. (1995) Schizofrenia. Le strategie terapeutiche. Psicosi. Supplemento alla Rivista di Psichiatria, 6-7. Parker G., Tuplin H, Brown L.B. (1979). Parental Bonding Instrument. British Journal of Medical Psychology, 52, 1-10. Perris, C.(1989). Cognitive therapy with schizophrenic patients. New York: Guilford. Perris C. (1993): Psicoterapia del paziente difficile. Lanaciano:Metis Editrice. Perris, C., Arrindell, W.A., Eisemann M. (Eds), 1994. Parenting and Psychopathology. Chichester: John Wiley & Sons Ltd.
Piaget J. (1954) The construction of reality in child. New York, Basic Book. Pickar D., Owen R.R., Litman R.E., Konicki P.E., Gutierrez R., Rapaport M.H. (1992). Clinical and Biologic Response to Clozapine in Patients with Schizophrenia. Archives of General Psychiatry, 49, 345-353. Popper K., 1972. Objective knowledge: An evolutionary approach. London: Oxford University Press. Prigogine I., Stengers I (1984) Order out of chaos: Man's new dialogue with nature. New York: Bantam. Prokasy, W. F., & Raskin, D.C. (1973) Electrodermal Activity in Psychological Research. New York: Academic Press. Rapp P.E. (1995) Is There Evidence for Chaos in the Human Cemtral Nervous System. In :Robertson R. & Combs A. (Eds.) Chaos Theory Psychology and the Life Sciences.Hove: Lawrence Erlabaum Associates, Publishers. Ritsner M., Karas S, & Ginath Y (1993). Relateness of schizotypal personality to schizophrenic disorders: Multifactorial threshold model. Jounal Psychiat. res., Vol., 27-38. Robertson R., Combs (Eds.) (1995) Chaos Theory in Psychology and the Life Science. Mahwah, New Jersey: Lawrence Erlabum Associates, Publishers. Safran, J. D., & Segal, Z.V. (1990). Interpersonal Process in Cognitive Therapy. New York: Basic Book Inc.
Roth, W.T., Horvath T.B., Pfefferbaum, A., Tingleber, J.R., Mezzich, J., & Copell B.S. (1979). Late event-related potentials and schizophrenia. In: Begleiter (ed. ), Evoked Brain Potentials and Behavior. New York: Plenum Press. Salte S.N., 1985. Evolving hierchical system: Their structure and representation. New York: Columbia University Press. Sartorius N. (1993) Implications of the results of the determinants of outcome in schizophrenia. Epidemiologia e Psichiatria Sociale, 2, 15-16. Schilpp P.A. (Ed. ), 1974. The Philosophy of Karl Popper. La Salle: Open Court Publishing Co.
Schooler N.R., Hogarty G.E. (1987). Medication and psychosocial straegies in the treatment of schizophrenia. In: Meltzer H.Y. (ed.) Psychopharmacology: The Third Generation of Progress. New York: raven Press. Scrimali, T. (1994). The interface between psychophysiology and cognitive psychotherapy. Conference held at the Department of Psychiatry of the University of Chicago, Chicago. Data on file. Scrimali, T. (1994). Constructivism and Cognitive Psychotherapy. Conference held at the Department of Psychiatry of the University of Camden. Camden, New Yersey. Scrimali, T., Cardillo, A., & Caruso, F. (1977). Organizzazione e conduzione di un laboratorio per il monitoraggio sistematico della resistenza cutanea. Bollettino della Società Medico-Chirurgica di Catania, Vol. XLV, N.1-2, 279-282. Scrimali, T., & Grimaldi, L. (1989). Un modello operativo di terapia cognitivista-costruttivista della schizofrenia. Atti del XXXVII Congresso nazionale della Società Italiana di Psichiatria. Roma: C.I.C., Edizioni Internazionali. Scrimali, T., & Grimaldi, L. (1991). Sulle tracce della mente. Milano: Franco Angeli Editore. Scrimali, T., & Grimaldi, L. (1994). Terapia cognitiva della schizofrenia. Atti del Congresso Nazionale della Società Italiana di Psichiatria. Catania: Edizioni di Formazione Psichiatrica, Vol. XVI, N.1-2, 201-204. Scrimali, T. & Grimaldi L. (1996) Schizophrenia e Cluster A Personality Disorders. From a psychophysiological and ethological approach, towards cognitive therapy. Journal of Cognitive Psychotherapy, in press. Scrimali, T., Grimaldi, L. & Cultrera (1993). Un approccio costruttivista e motorio alla psicofisiologia della schizofrenia. Complessità & Cambiamento, Vo., II, N.1, 35-40. Scrimali, T., Grimaldi, L., & Filippone, L. (1989). Cognitive and complex approach to schizophrenia and its therapy. Poster presented at the World Congress of Cognitive Psychotherapy. Oxford. Scrimali, T., Grimaldi, L, Freeman, A., & Boyll, S. (1994). L'Approccio Cognitivo nella Clinica Psichiatrica. Workshop held at the Department of Psychiatry of the University of Catania. Data on file. Scrimali, T., Grimaldi, L., & Rapisarda, V. (1988). The passive eliciting of P 300 versus the "odd ball+time reaction paradigm in healthy subjects and schizophrenic patients. Research Communications in Psychology, Psychiatry and Behaviour, 3, 182-186. Scrimali, T., Grimaldi, L., Rapisarda V. (1989). Schizofrenia, human information processing e potenziali evocati a lunga latenza. Atti del Congresso Nazionale della Società Italiana di Psichiatria. Catania: Edizioni di Formazione Psichiatrica, Vol. XVI, N.1-2, 201-204. Shagass, C., Roenner, R.A., Straumanis, J.J. & Amadeo, M. (1979). Evoked cortical potentials and evidence of lateralized hemispheric dysfunction in the psychoses. In Gruzelier, J. & Flor-Henry, P. (Eds. ), Hemisphere asymmetries of function in psychophysiology. Amsterdam: Elsevier. Shannon C.E. & Weaver, W. (1964) The mathematical of communication. Urbana R.:University of Illinois Press. Siani R., Siciliani O., Burti L. (1991) Strategie di Psicoterapia e Riabilitazione. Milano: Feltrinelli. Siracusano A., Brogna P. (1996) Considerazioni sul trattamento dei sintomi negativi della schizofrenia. Noos, Vol.II, N.2, 167-176. Shefferd G. (1991b) Planning the Rehabilitation of the Individual.In: Watts F.N., and Bennet H.D. (Eds) Teory and Practice of Psychiatric Rehabilitation. Chichester: John Wiley and Sons Ltd.
Slade, P.D., & Bentall, R.P. (1988). Sensory deception: A scientific analysis of allucination. London: Croom Helm. Steinhauer S.R., Gruzelier, J., Zubin J., 1991. Neuropsychology, Psychophysiology and Information Processing. In: Nasrallah H.A. (Ed. ): Handbook of Schizophrenia. Amsterdam: Elsevier Science Publishers. Stratta P., Rossi A. (1994) Rimedio di funzioni esecutive e riabilitazione neuro-cognitiva della schizofrenia. Rivista di Riabilitazione Psichiatrica e Psicosociale, Vol. III, N.1, 7-12. Tarrier N., Lowson K., Barrawclough C. (1991). Some aspects of family interventions in schizophrenia. II Financial considerations. British Journal of Psychiatry, 159, 481-484. Tarrier, N. Vaughn, C., & Lader, M.H. (1979). Bodily reactions to people and events in schizophrenia. Archives of General Psychiatry, 36, 311-315. Torgersen S.,1985. Relationship of Schizotypal Personality Disorder to Schizophrenia: Genetics. Schizophrenia Bulletin, Vol.11, N°4, 556-563. Von Domarus (1944) The specific law of logic in schizofphrenia. In: Kasanin J.S. (Ed) Language and thought in schizophrenia. Berkley: University of California Press. 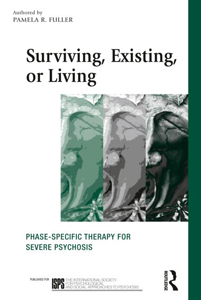 von Zerssen D., Leon C.A., Moller H.J., Wittchen H.U., Pfister H, Sartorius N. (1990) Care strategies for schizophrenic patients in a transultural comparisin. Comprehensive Psychiatry, 31, 398-408. Warner R. (1985) Recovery from schizophrenia. London: Routledge. Watt D.C., Katz K, Shepherd M. (1983) The natural history of schizophrenia: a 5-year prospective follow-up a represenattive sample of schizophrenics by means of a standardized clinical and social assessment. Psychological medicine, 13, 663-670. Watts F N.(1991) Employement.In: Watts F.N., and Bennet H.D. (Eds) Teory and Practice of Psychiatric Rehabilitation. Chichester: John Wiley and Sons Ltd.
Watts F.N. (1991) Socialitation and Social Integration.In: Watts F.N., and Bennet H.D. (Eds) Teory and Practice of Psychiatric Rehabilitation. Chichester: John Wiley and Sons Ltd.
Watts N.F., Anthony E.J. (1984) Children at risk for schizophrenia. New York: Cambridge University. Watts F.N., Bennet D. (1991) Management of Staff Team.In: Watts F.N., and Bennet H.D. (Eds) Teory and Practice of Psychiatric Rehabilitation. Chichester: John Wiley and Sons Ltd.
Watts F.N., and Bennet H.D. 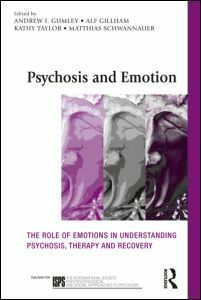 (Eds) Theory and Practice of Psychiatric Rehabilitation. Chichester: John Wiley and Sons Ltd.
Watzlawick P. (1978) Change: The language of therapeutic communication. New York: Basic Books. Webb C.T., & Levinson D.F. (1993) Schizotypal and paranoid personality disorder in the relatives of patients with schizophrenia and affective disorders: a review Schizphrenia Research, 11, 81-92. Weimer W.B., 1977. A conceptual framework for cognitive psychology:Motor theories of mind. In Shaw R and Bransford (Eds.) Perceiving, acting and knowing. Hillsdale: Erlbaum. W.H.O. (1979. Schizophrenia. An International Follow-up Study. Chichester: John Wiley & Sons Ltd.
Wing J.k. (1987). Has the outcome of schizophrenia changed ? British Medical Bulletin, 43, 741-753. Zahn, T.P.(1976). On bimodality of the distribution of electrodermal orienting responses in schizophrenic patients. Journal of Nervous and Mental Diseases, 162, 3 195-199.